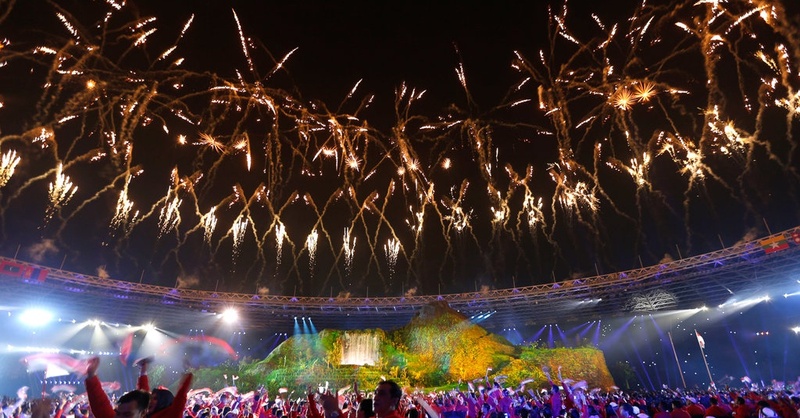 JAKARTA — A spectacular pyrotechnic show, including a simulated volcanic eruption, lit up this city’s skyline on Saturday night as Indonesia rolled out the red carpet for the continent’s elite athletes in the opening ceremony for the 18th Asian Games. 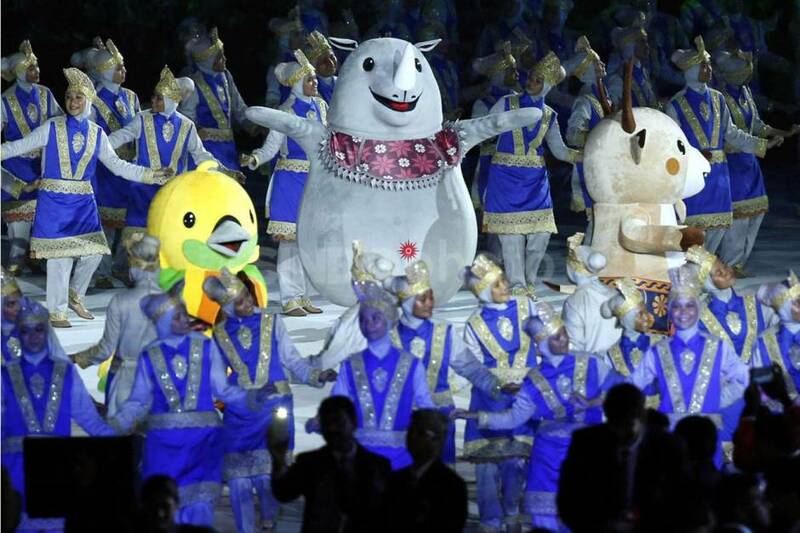 The North and South Korean athletes illustrated that sentiment at a localized level by marching together under a common flag featuring a map of the divided peninsula There was a huge cheer for the Palestine contingent and Kuwait’s team were also able to march after a ban from the Olympic movement, imposed nearly three years ago for government interference in sport, was provisionally lifted on Thursday. Olympic Council of Asia (OCA) president Sheikh Ahmad Al-Fahad Al-Ahmed Al-Sabah hailed his homeland’s return “We are proud that the Kuwaiti athletes after so many years are participating under the Kuwaiti flag … to complete the 45 flags of all our members,” he said. The centerpiece of the set was a huge model of a volcano around which 3,600 performers danced in various colorful costumes, entertaining an enthusiastic crowd and the millions watching around the continent on TV The climax of the ceremony came when former Olympic badminton champion Susi Susanti carried the Games’ torch to the summit of the volcano and set off a spectacular display of fireworks. Some 9,000 security personnel stood guard at the stadium, which has previously hosted, among others, Pope John Paul II, Michael Jackson, Bon Jovi and Guns N’ Roses as well as English Premier League sides such as Chelsea, Liverpool and Arsenal. Security remains a concern in world’s biggest Muslim-majority country, which witnessed suicide attacks claimed by Islamic State in the city of Surabaya in May – the deadliest militant attacks in more than a decade Organizers have said 100,000 police and military personnel will be on duty to protect the Games, while facial recognition technology will be used at some of the venues. The colorful two-and-half hour ceremony combined trend with tradition, while also poignantly observing a minute’s silence in memory of the 460 killed in the earthquakes that rocked the resort island of Lombok this month. Esports debuts as an official demonstration sport in Indonesia, which volunteered to host the Games after Vietnam pulled out in 2014 citing financial concerns. 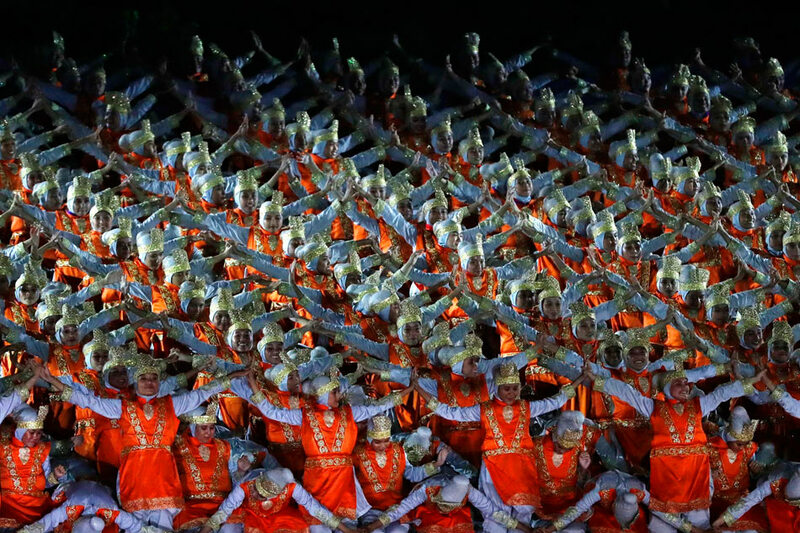 The Games, which conclude on Sept. 2, are the first co-hosted by two cities with Palembang on the island of Sumatra acting as venue for some sports along with the capital. South-east Asian I.S fighters: Where (in Syria) are they now?